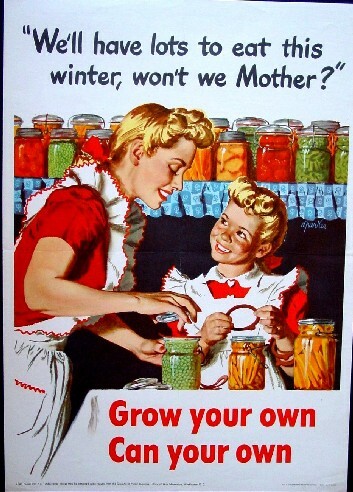 Comments: A colorful poster with a fresh faced young girl helping her mother canning food for the winter emphasizes the values of independence and contribution to the war effort. One of the ever popular series of government food conservation posters designed to make sure there was sufficient food for our troop overseas and citizens at home. Size: 16 x 22 1/2"